Welcome to Paint Valley Middle School for the 2018-19 school year! The High School Counselors this school year are Mrs. Teresa Pelletier and Mr. Malachi Pulliam. We aim to support the development of the academic, personal/social, and emotional domains of each student, while fostering a safe school climate, enabling each student an opportunity to achieve and attain the skills necessary to be a productive citizen, to become a lifelong learner, and to meet the challenges of the future. COLLEGE CREDIT PLUS MEETING: Wednesday, February 6th @ 6:00 in High School Library. Representatives from Southern State and Ohio University-Chillicothe will be in attendance. Parents and students who are interested in CCP are strongly urged to attend. 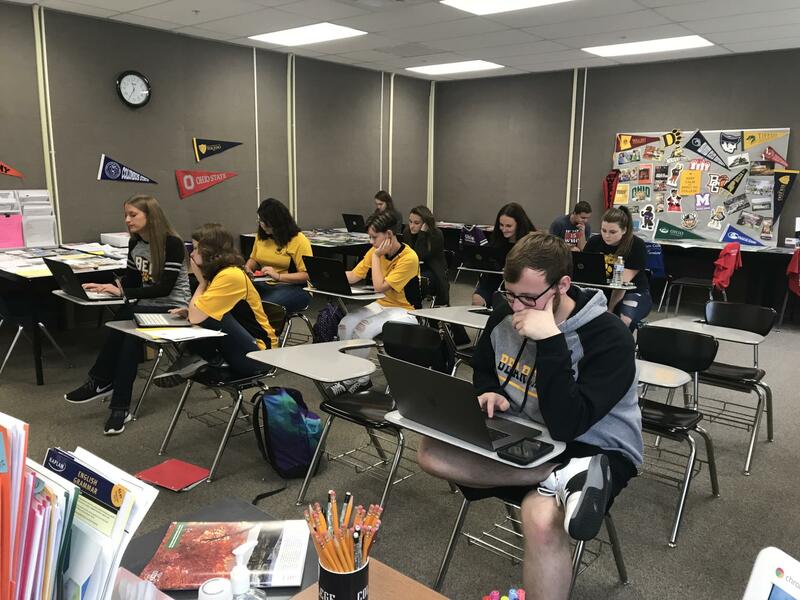 For the next few weeks, Seniors will be participating in FAFSA Fridays with Mrs. Salamone, where they receive help signing up for the FAFSA. If you have a Senior student who needs to fill out the FAFSA to prepare to attend college, make sure they attend these sessions! There was a great turnout for the first session! Social media has been an issue amongst our students at the Middle and the High School levels. As a result, one of our school counselors, Mr. Pulliam, has written a letter addressing the issue and has also created a presentation on Social Media Safety. Please take some time to read the letter and watch the presentation below. If you have any questions, feel free to contact Mr. Pulliam at malachi.pulliam@pvlsd.org or 740-634-2826 ext. 14328.